I went to Nairobi for the first time back in 2006. 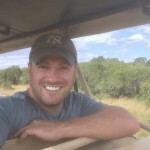 It was my first stop before heading to climb Mount Kilimanjaro for my 28th birthday. To get to Nairobi from New York, I first had to fly to London where I had a long layover in Heathrow Airport. Then it was another long flight down to Nairobi. All-in, it was about 24 hours door to door. I proceeded to do the same thing via other European cities in subsequent visits. Until this time, thanks to the New York to Nairobi Kenya Airways nonstop flight. The New York to Nairobi Kenya Airways Nonstop Flight on the ground in Nairobi just after landing! The New York to Nairobi Kenya Airways nonstop flight saves travelers up to 12 hours-one way! For instance, my JFK-NBO leg on the inaugural flight on October 29th was only a little over 12 hours. That’s in stark contrast to the 24-hour flight days I mentioned. It’s a godsend for travelers like me whose favorite flight is always the direct one. The New York to Nairobi Kenya Airways nonstop flight leaves at 1pm from New York JFK Airport onboard a Boeing 787 Dreamliner. 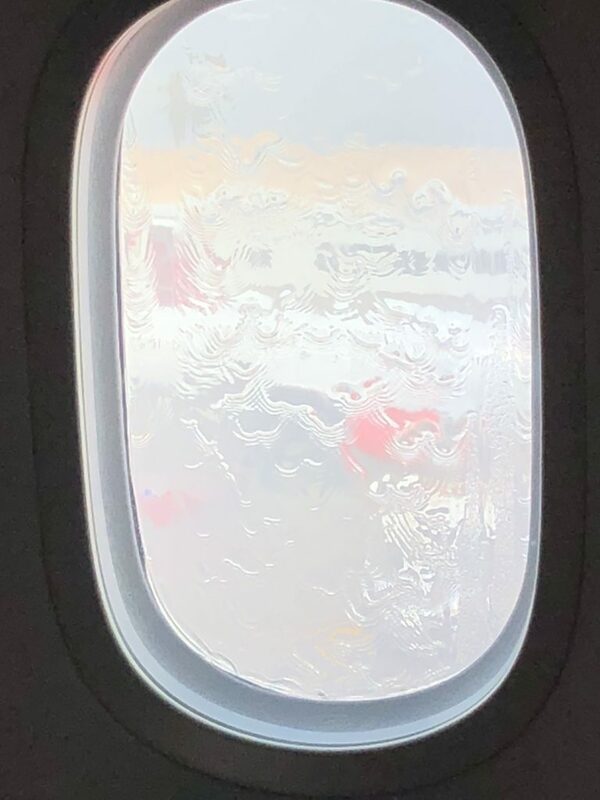 These planes are fantastic, as you probably know, they circulate air better than any other plane and I find them very comfortable no matter the class of travel. 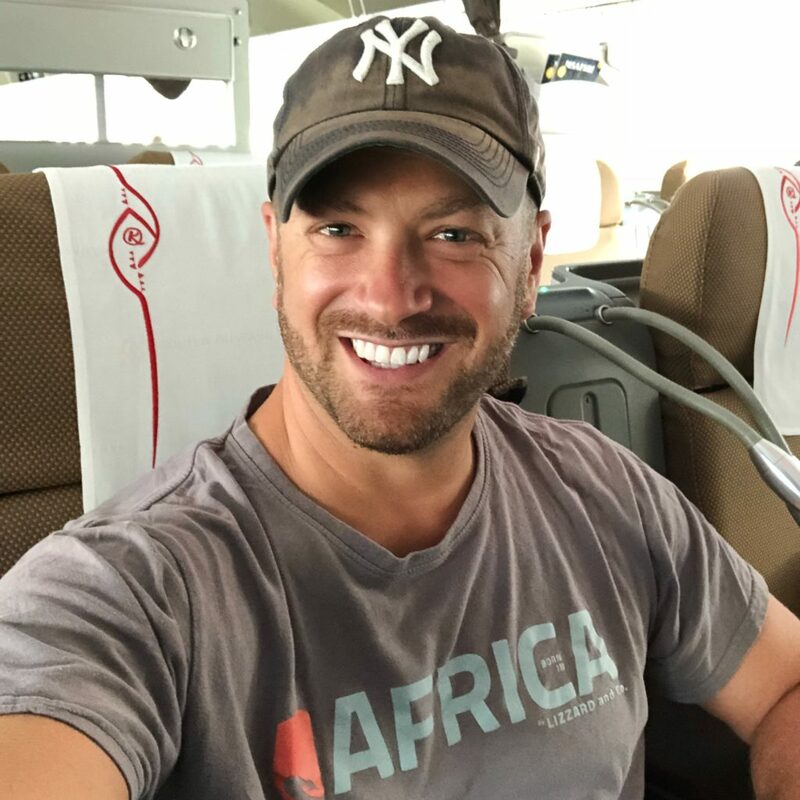 For the inaugural New York to Nairobi Kenya Airways nonstop flight I flew in the business class cabin. The lie-flat seats were pretty standard and comfortable. For a taller person such as myself, you have to sleep on your side or maneuver your body on an angle to get truly comfortable but it’s pretty good all around. 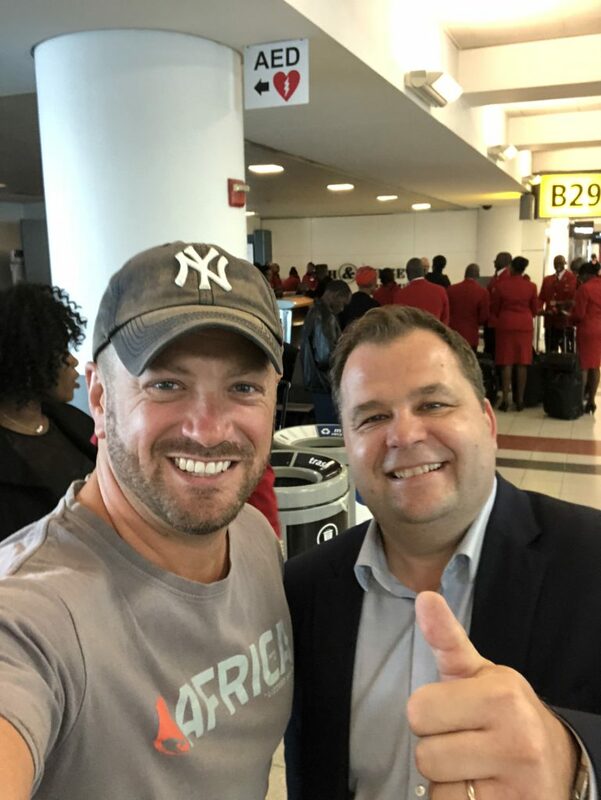 The service on the New York to Nairobi Kenya Airways nonstop flight was fantastic. 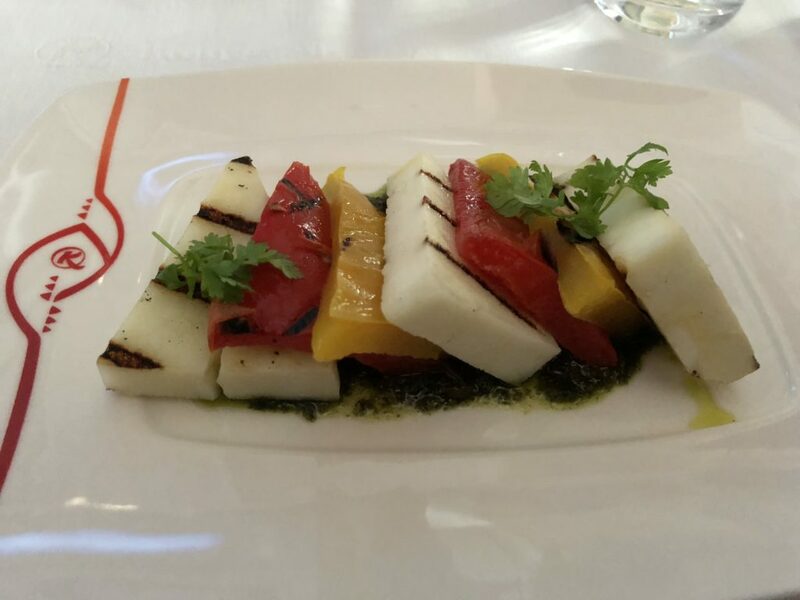 The crew went out of their way to make us feel at home and provide excellent service, on par with world-class airlines. The amenity kits in business class were standard. The wine list and cocktails offered were standard and very adequate. The food onboard was good. 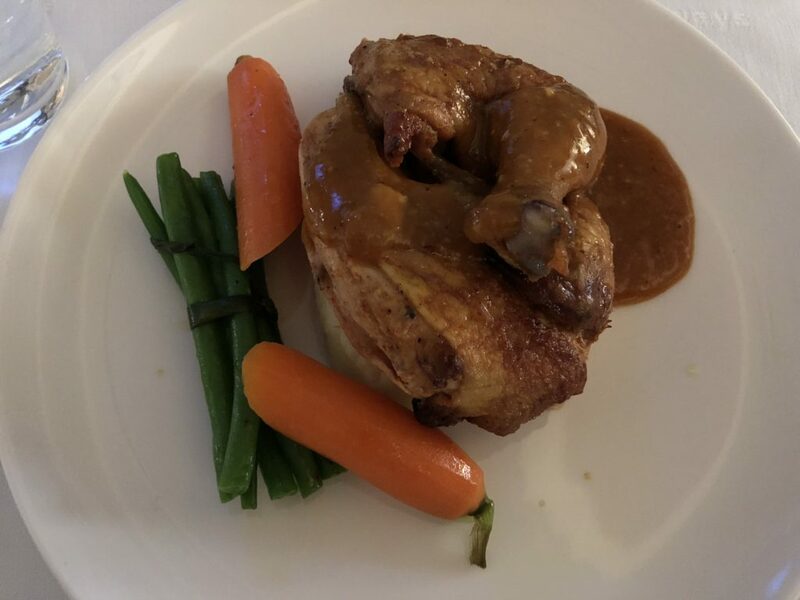 I didn’t love the menu choices but I seldom do on planes so I wasn’t unhappy at all and enjoyed my dinner and later breakfast. After breakfast the excitement started building a little bit in anticipation for landing and a welcome ceremony to come at the Nairobi Airport. Before landing the crew raffled off prizes such as perfumes and fragrances to passengers at no cost. I had never seen that before and thought it was a great touch and a lot of fun as there were a dozen winners. On landing, nearly 2 hours early because of favorable winds, we became aware of the Kenya Airways Chairman and the US Ambassador to Kenya being on our flight. 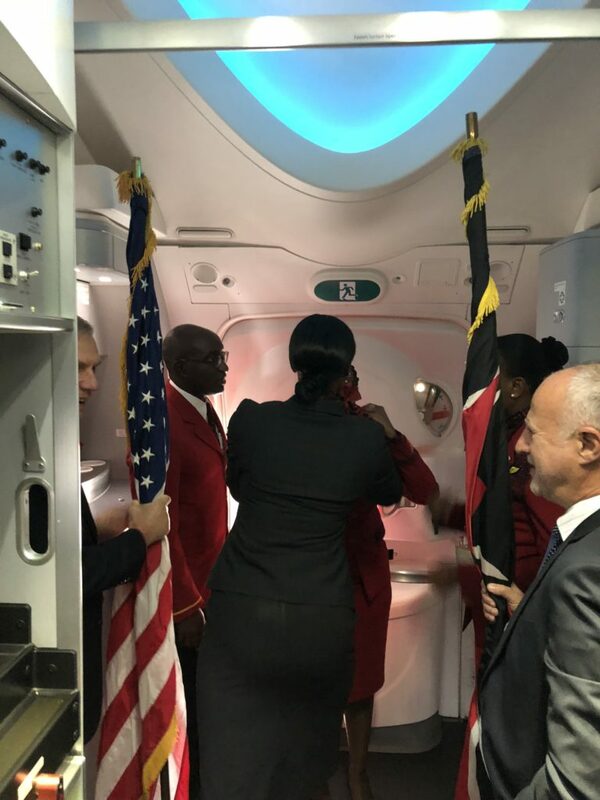 They lined up with American and Kenyan flags at the door as the water cannons doused the plane welcoming this new and exciting route that means so much to the Kenyan people. I was actually the first one out right after the Ambassador and Chairman and was in awe of the massive ceremony that was taking place on the ground. Aside from the red carpet, there was a band, Masai warriors, dignitaries, staff and the Deputy President of Kenya to greet us all. It was a party on the ground, the likes of which I’ve never seen before. I’m often invited on inaugural flights but I rarely go. In fact, this was only my second I’ve actually gone on and by far the best. Let’s just say this party was a lot better than my prior experience in Cuba with JetBlue. After all the red carpet celebration we were ushered to an area of the airport where they were holding a press conference for the new route. 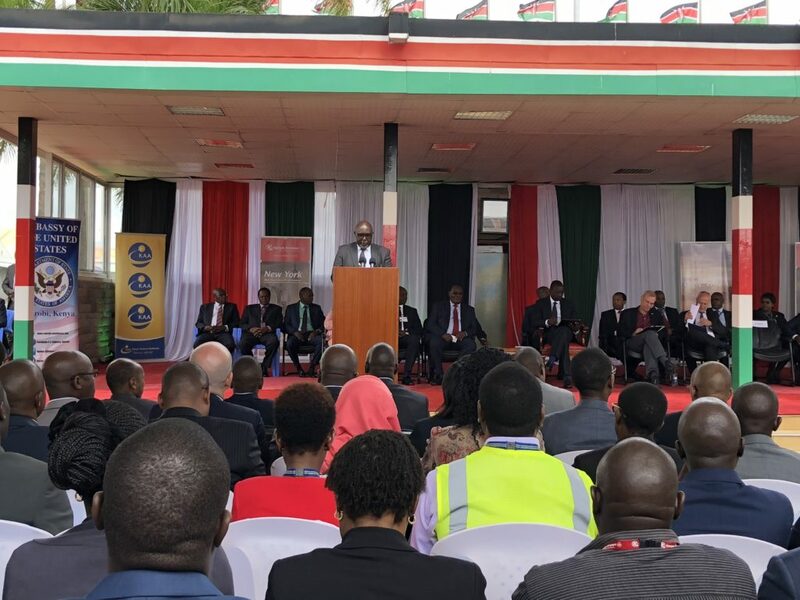 A stage was set up for Kenyan government leaders, Kenya Airways brass and the US Ambassador to make speeches. There was a lot of excitement in the air and it was great to be a part of it. The New York to Nairobi Kenya Airways nonstop flight is such a big deal for many reasons. First, it cuts travel time down significantly as I mentioned. Second, it announces Kenya and Kenya Airways to the big time. It does this by helping to increase American tourism by a large percentage. Third, it will act as a regional player for African tourism with Nairobi as the main hub of the region. This will directly compete in East Africa with Addis Ababa Airport and Ethiopian Airlines for North American tourists. 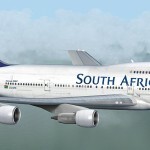 It will even compete with South African Airlines for African continent connection flights thereby increasing tax revenue and tourism dollars for Kenya. Kenya also hopes to soon add direct flights to Atlanta and Washington DC. This project has been in the works for a decade and finally got done. 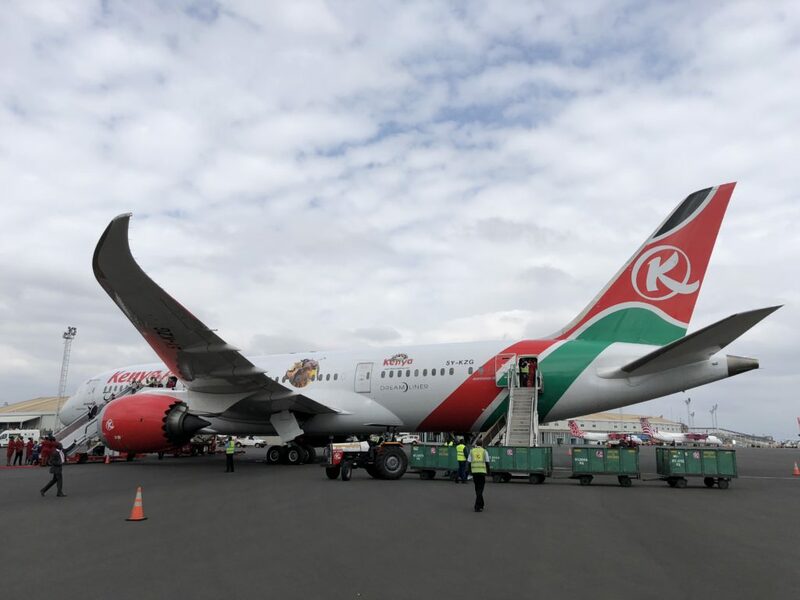 It’s a massive victory for Kenya and Kenya Airways. Truthfully, it’s a big victory for tourists like you and I as well. We now how time saving options at a relatively low cost. 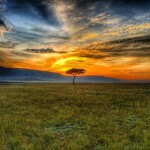 As many of you know, Africa is my favorite continent to travel to and within. It can be dizzying and confusing at times. This New York to Nairobi Kenya Airways nonstop flight makes getting to and navigating Africa a lot easier. Plus, Kenya is one of the best countries in Africa. It’s truly magical and well worth a visit even if you’re connecting elsewhere. Congratulations to the nation of Kenya and the great people of Kenya Airways. This landmark route is well deserved and I wish you all the best. Thanks for having me onboard and I’ll see you again soon without question! Disclaimer: I was invited on and hosted on the inaugural New York to Nairobi Kenya Airways nonstop flight as well as my return flight. I wrote everything in this post and all opinions expressed are mine, mine alone, and have not been influenced in any way.